Octopath Traveler – Eight travelers. Eight adventures. Eight roles to play in a new world brought to life by SQUARE ENIX. Explore each traveler’s story and use her or his abilities in and out of battle. Will you expand your horizons as the Merchant or track down a traitor as the Warrior? Where will you go? Who will join you? You alone can choose your path. The Octopath Traveler game launches exclusively for the Nintendo Switch system on July 13. A free demo version is also available for download now. Fortnite (Season 5) – WORLDS COLLIDE! Drop into Season 5 of the Fortnite game on the Nintendo Switch system, where we’re introducing all kinds of changes to the map! A Viking ship, desert outpost, and ancient statues have appeared on the island, changing the world of Fortnite as we know it. The all-new Battle Pass can help you level up faster by completing Weekly Challenges, and unlock additional rewards like progressive outfits, sprays and exclusive cosmetics. Play the new Season of Fortnite from anywhere on Nintendo Switch, and be sure to test out the new motion controls. 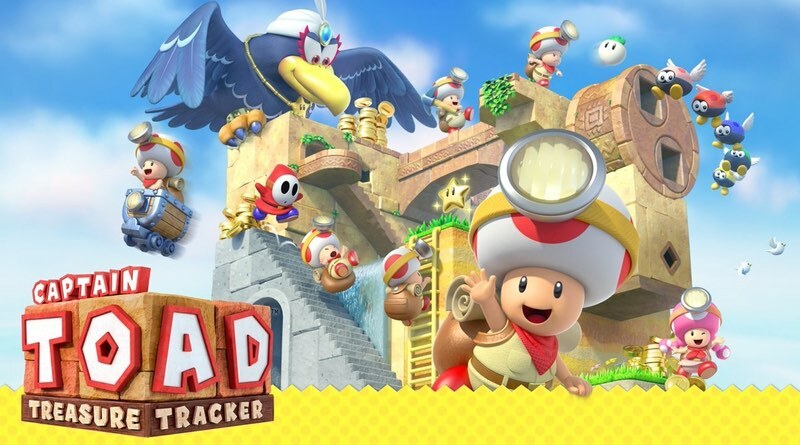 Captain Toad: Treasure Tracker – Captain Toad stars in his own puzzling quest on the Nintendo Switch system and the Nintendo 3DS family of systems. Our stubby hero must dodge dangers and track treasures across many trap-filled courses. Survive smoldering volcanoes, hazardous steam engines, haunted houses and even new courses based on the Super Mario Odyssey game. Luckily, in the Nintendo Switch version, a second player can join in to help toss turnips at enemies. The Captain Toad: Treasure Tracker game will be available for both Nintendo Switch and Nintendo 3DS on July 13. A free demo version is also available to download. Nintendo Labo Creators Contest: New Winners Announced! – Winning entries have now been selected for the “Best Toy-Con Mod Using Toy-Con Garage” and “Best Original Invention Using Toy-Con Garage” categories. You can now see all the winning creations on the Nintendo Labo Creators Contest Winners’ page. Visit the site for more info: https://labo.nintendo.com/share/#!/winners/. Nintendo Download: Tetris Battle Royale!